"And homeless near a thousand homes I stood, and near a thousand tables pined, and wanted food." When Spike became a part of our family on February 29, 2004, we had no idea what a profound impact he would have on each of us. We knew he would require lots of care, lots of love, lots of food, all things he had sorely lacked at the hell hole in Custer, Washington, called "Billie's Bullies", a breeding facility where dogs were neglected and starved to death. What we didn't know, however, was how much he would add to our lives. 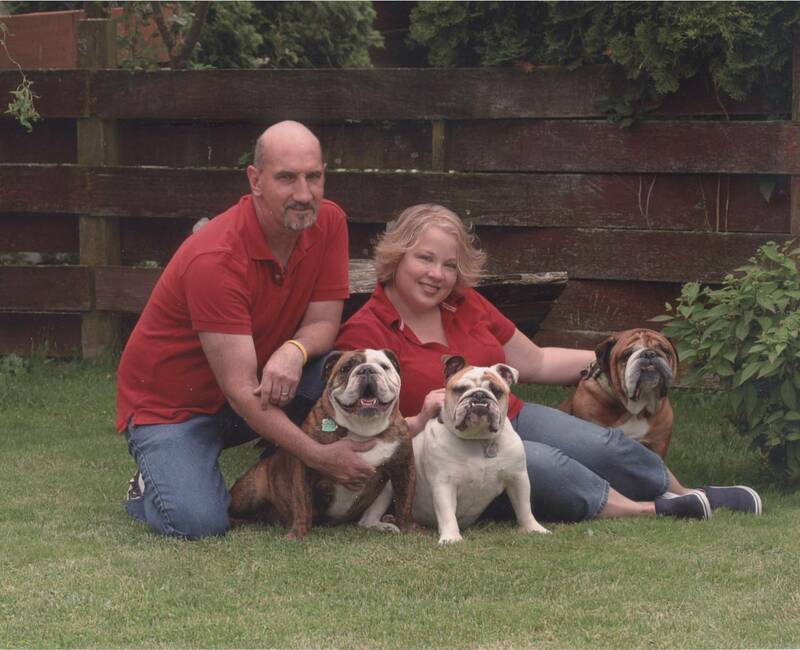 Our other bulldogs, Lily and Amos, had enriched our lives enormously. They have never wanted for a thing in their lives, unlike Spike, who has lacked so much for the last four years of his life. While Lily and Amos love us as unconditionally as any dog loves his family, Spike's love has the added dimension of gratitude. He has known hunger and cold and neglect and pain, and now that those things are behind him, he seems to genuinely appreciate everything he has. 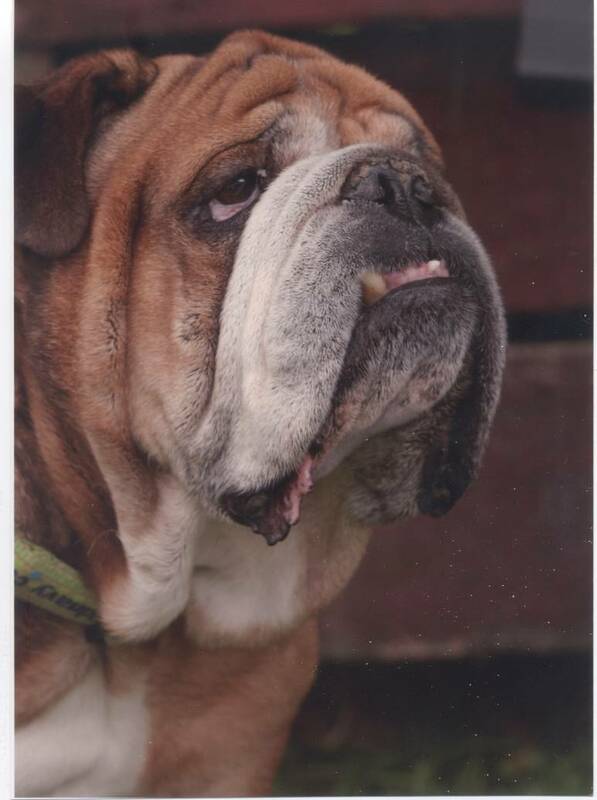 Click on Spike's portrait below to get a glimpse of Spike with his loved ones. Read Spike's story in the Lynden Tribune. Read the latest updates on Spike's Tale. The non profit organization that placed Spike in our home. Sign the petition asking for maximum punishment for those who tormented Spike and the other dogs. Save a spot in your heart ... Adopt a homeless Dalmatian.